Artificial selection is not direct evidence of evolution, but it is indirect evidence, a process that helps us to understand natural selection. Humans have been artificially selecting and domesticating animals and plants for many thousands of years. In effect, domestication is a long-term, practical experiment that clearly demonstrates that species can actually change dramatically by breeding them selectively. The example of artificial selection that most people can understand well, is the breeding of Canis lupus familiaris (also known as “dogs”). 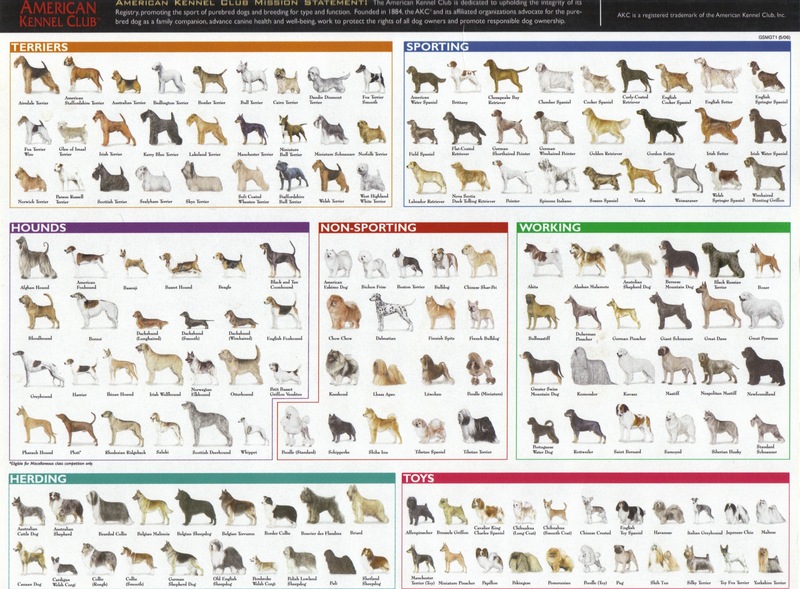 Modern dog breeds now number into the hundreds. The Fédération Cynologique Internationale, also known as the World Canine Organisation in English, recognises 339 breeds of dogs. That said, all of those breeds are of the same species as they can all genetically interbreed with one another. However, if a male German Shepherd were to mate with a female Shih Tsu, because of the sheer size difference between the dogs, the smaller dog would find the mating harrowing and would never survive either the pregnancy or the birthing process as the offspring would be substantially larger than the mother. The origin of the domestic dog began with the domestication of the Grey Wolf as far back as 30,000 years ago. Remnants of fossilised dogs have been found alongside rocks which have been dated to 31,700 years ago. Archaeologists have also found 26,000-year-old footprints made by a child and a dog at Chauvet Cave, France which supports the notion of those early wolf-like dogs being kept as pets. Genetic and archaeological evidence shows that humans have domesticated wolves on more than one occasion, with the present lineage of domestic dogs arising at the latest 15,000 years ago as shown by evidence found at the Bonn-Oberkassel site and possibly as early as 33,000 years ago as shown by the mtDNA testing on the remains of a paleolithic dog found in the Altai Mountains’ Razboinichya Cave. Domesticated dogs provided early humans with a guard animal, a best of burden and a source of food and fur. The process continues to this day, with intentional artificial selection and cross-breeding to create new breeds. Studies have shown that some wolf puppies taken at an early age and raised by humans are easily tamed and socialised. At least one study has demonstrated that adult wolves can be successfully socialised. By the time wolf pups are 19 days old, they start to become suspicious of strangers. In contrast, dogs are willing to make connections with people until up to 4 months of age. Attempts to socialize wolves after the pups reach 21 days of age are very time-consuming and seldom practical or reliable in achieving success. Many researchers believe that humans adopted orphaned wolf cubs and even nursed them alongside human babies. Once these early adoptees started breeding among themselves, a new generation of tame “wolf-like” domestic animals would result which would, over generations of time, become more dog-like. Wild wolves would, as scavengers, be attracted to carcasses and litter left at campsites and fields. Dr. Raymond Coppinger of Hampshire College, Massachusetts holds that the wolves that became more successful at interacting with humans would pass these traits on to successive generations, eventually leading to wolves with an increased domesticity. He states that the “most social and least fearful” wolves were the ones who were kept around the human living areas, leading to the traits that are still recognised in dogs today. Moreover, selection for greater propensity to be domesticated had the side effect of selecting genetically related physical and behavioural characteristics, such as barking. It is thought that early wolves would have differentiated into two populations: the scavengers who lingered around human villages and the hunters who went about in packs. Selective pressures would have maintained the separation of these populations. Soviet scientist Dmitri Belyaev attempted to reenact how domestication of the wolf may have occurred by conducting an experiment (commonly called the “farm fox experiment”) on the Silver Fox. Researchers selectively bred more than 35 generations for 40 years for the trait of friendliness to humans in order to see whether more dog-like animals could be produced. The domestic foxes became much more friendly to humans and actually seek out human affection and attention, but interestingly, they also began to show new physical traits which were not originally selected for: spotted or black-and-white coats, floppy ears, upward curling tails, barking and reaching sexual maturity earlier. The experiment continues today at The Institute of Cytology and Genetics in Novosibirsk, under the supervision of Lyudmila Trut. 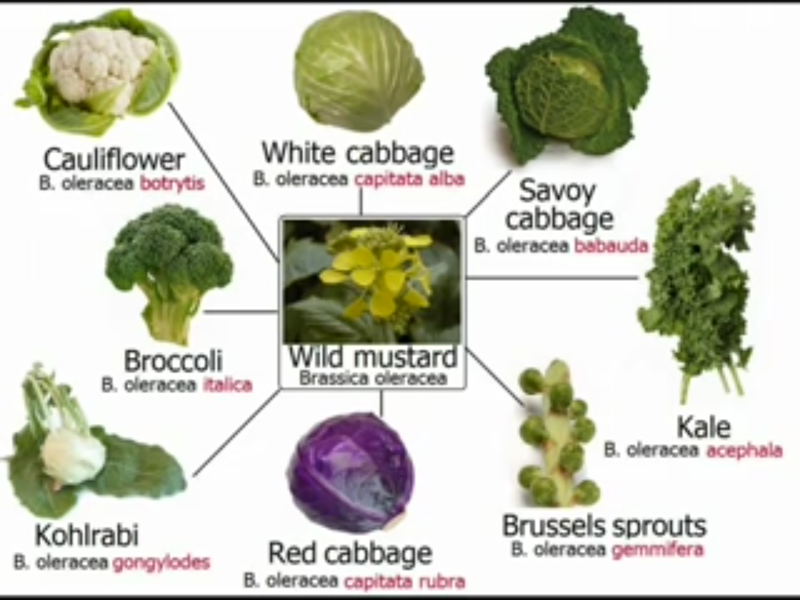 A second case in point is the variety of descendent of the wild mustard plant, Brassica oleracea (the same plant whose seeds are ground and mixed with water and vinegar to made the popular yellow condiment). Broccoli and Brussels sprouts bear little superficial resemblance to their wild mustard relatives, yet they all descend from this one almost inedible plant. These observations demonstrate that selection has profound effects on populations and has the ability to modify forms and behaviors of living things to the point that they look and act very unlike their ancestors. Artificial selection provides a model that helps us understand natural selection. It is a small step to envision natural conditions acting selectively on populations and causing natural changes. *Be aware that the biological use of the word “race” applies to members of the same species who are genetically isolated from each other as in dog breeds, it does not apply to humans as there is only one extant biological race of Homo sapiens. For socioeconomic purposes though, the word “race” can be used. **A caveat here is that artificial selection works on a much shorter time-scale as active human eyes deliberately chose certain characteristics, in natural selection though, characteristics are chosen on the basis of “survival of the fittest”. Scott, John Paul (1965). Genetics and the Social Behaviour of the Dog: The Classic Study. University of Chicago Press. Pp 55-56. ISBN 978-0-226-74338-7. Germonpréa, Mietje; Sablin, Mikhail V. (7 October 2008). “Fossil dogs and wolves from Palaeolithic sites in Belgium, the Ukraine and Russia: osteometry, ancient DNA and stable isotopes”. Horgan, Matthew; Nilsson-Stor, ‎Jennifer; Dunning, Nicola (2014). Howls From the North. Lulu.com. ISBN 978-1-291-69527-4. Derr, Mark. How the Dog Became the Dog: From Wolves to Our Best Friends (Penguin Group; 2011); book extensively cites research papers to support its propositions. Morey, Darcy. Dogs: Domestication and the Development of a Social Bond (Cambridge University Press; 2010) 384 pages; uses zooarchaeology to explores ties between humans and canines over the past 15,000 years with a focus on the New World and Arctic regions. ← Polyamory – What is it?